Agrobiobase award 2017 was presented April 26, 2017, during the International Congress Plant Based Summit (25-26 April 2017, Lille Grand Palais, France). The votes of professionals during the first day of the congress finally decided within 4 finalists selected by the jury. The company EcoTechnilin has been recognized for its 100 % natural filter system made of pine bark residues and flax. 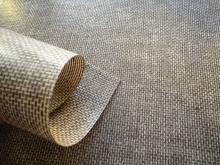 This filtering carpet is based on intrinsic properties of tree bark to fixed various pollutants. It has the capacity to concentrate heavy metals and radioactive elements in fluids with an efficiency similar to ion exchange resin but easier to implement. For this 2017 edition, the winner has received financial support in the amount of 5,000 euros and press coverage. Agrobiobase award 2015 was presented April 9, 2015, during the International Congress Plant Based Summit (8-10 April 2015, Lille Grand Palais, France), in the presence of Mr. Thierry STADLER, president of the jury and president of IAR cluster, and Mr. Julien DUGUE, unit of Biomass and Energy, French Ministry of Agriculture, Agrifood and Forestry. The company VALAGRO has been recognized for its fully biobased super-absorbant (SAP) polymer SAP-BIO-09 able to successfully replace petrochemical ones. For this 2015 edition, the winner has received financial support in the amount of 5,000 euros and press coverage. Agrobiobase award 2013 was presented November 20, 2013, during the International Congress Plant Based Summit (19-20 November 2013, Pavillon d'Armenonville, Paris), in the presence of Mr. Daniel THOMAS, Vice-President of IAR cluster, and Mr. Aurélien MILLION, Head of the Unit of Biomass and Energy, Ministry of Agriculture, Agrifood and Forestry. That was the votes of about 100 present professionals during the first day of the congress that finally decided between 4 finalists, selected by the jury among 22 initial applications. The company FLAX TECHNIC has been recognized for its 100% bio-based composite TWINFLAX P-PREG! 100% bio-based, this innovative product consists of a technical fabric in flax fibers associated by a specific impregnation process with a high-performance bio-based resin, a polyamide PA11. For this 2013 edition, the winner has received financial support in the amount of 5,000 euros and press coverage. The winners of the award of Agrobiobase were unveiled Sept. 6, 2011 at the Maison de la Chimie in Paris on the occasion of the International Symposium Plant-Based Chemistry. The winners received their trophies in the presence of Mr Daniel Thomas, Chairman of IAR cluster, and M. Eric Giry, representative of the Ministry of Agriculture. 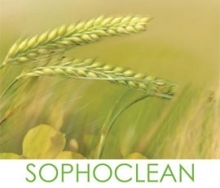 Launched in March 2011 by the cluster Industries & Agro-Resources (IAR), in cooperation with the Ministry of Agriculture, the first edition of Agrobiobase awards was dedicated to French candidates and rewarded innovative players in the field of agricultural resources that contribute to an industrial sector more respectful of environment. This first edition of Agrobiobase Award awarded 3 candidates out of 18 cases filed, three trophies awarded for the innovative nature of bioproducts, the percentage of plant raw material and its environmental and socio-economic impact. EcoTechnilin, France’s leading provider of non-woven products made ​​from natural fibers, won the trophy for its lightweight thermoset composite fully bio-based: FIBRICARD ®. Novance, subsidiary of Sofiprotéol group, specialized in manufacturing and marketing of chemicals from the exploitation of natural vegetable oils, was recognized for its aqueous emulsion of 100% vegetable alkyd resin: VG TECH HYDRO ®. Roquette, a leading global players in starch and its derivatives, received a trophy for its 100% bio-based plasticizer: POLYSORB ID 37®.